This wheeled hard case for Thypoon H is a watertight hard case that features wheels and a retractable handle designed to make travel easy. 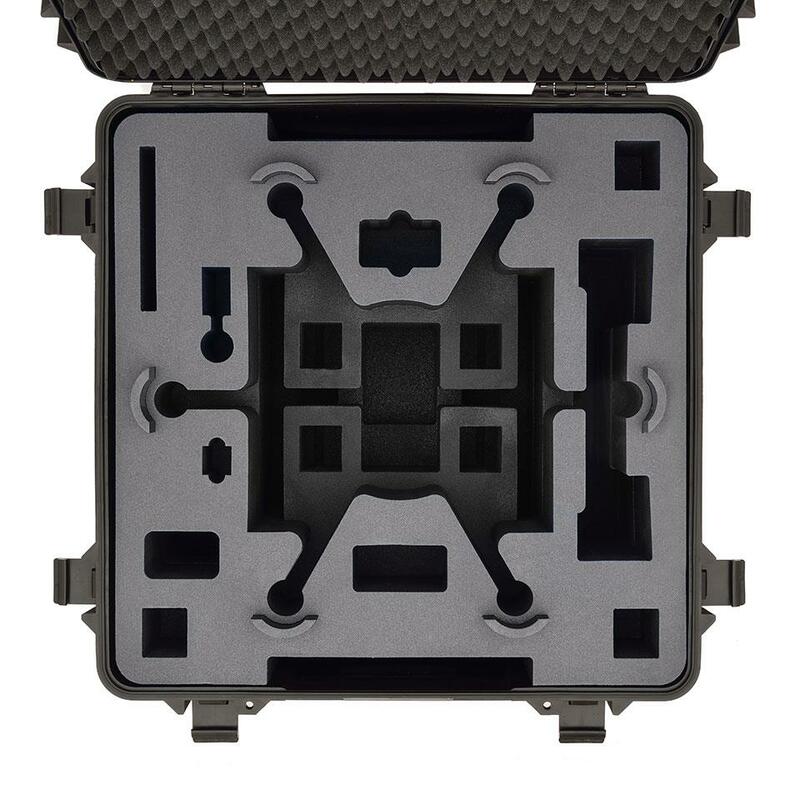 Based on the HPRC 4600W series, it is pretty compact. 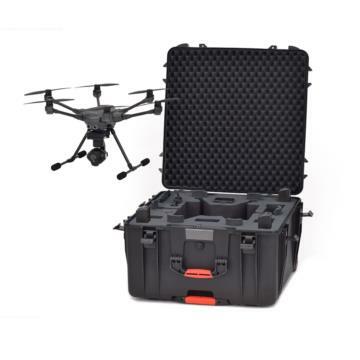 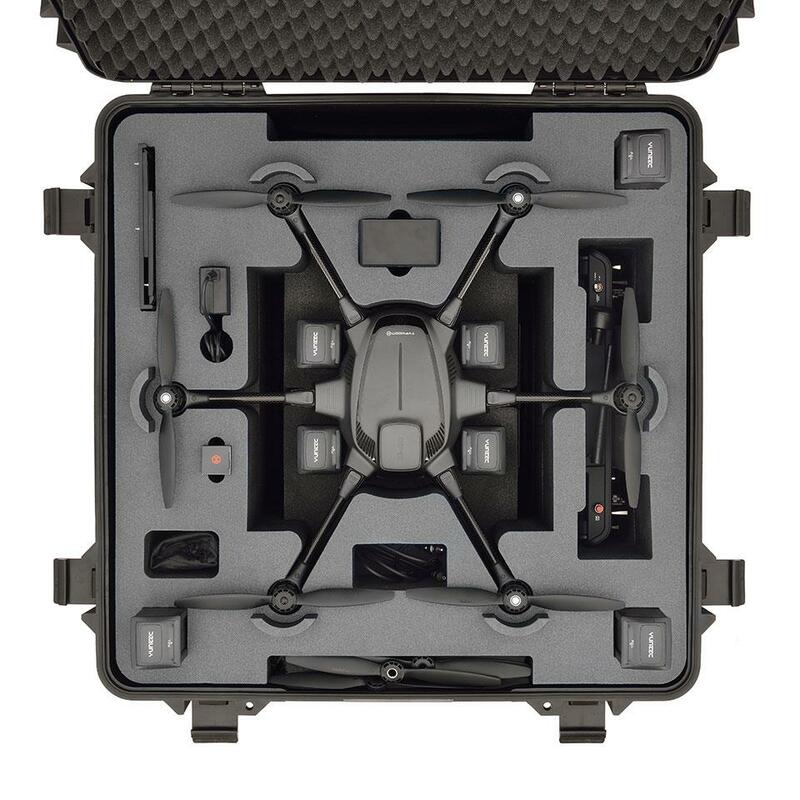 It features a pre-cut foam interior that specifically holds the Typhoon H, batteries and a battery charger, the transmitter, cables, and other miscellaneous accessories.